Most people have experienced outstanding customer service in one form or another -- an attentive server at a restaurant or a retail store employee who goes the extra mile. A thriving industry comprised of consultants dedicated to training companies how to adopt exemplary customer service has blossomed over the past couple decades. For example, The Walt Disney Company Institute will help bring some of that "Disney magic" to your business. At my company, we've always pushed our employees to go the extra mile for clients because the ripple effects of terrific customer service extend beyond mere satisfaction and retention. Exemplary customer service distinguishes your brand, builds repeat business, combats price competition, and even improves employee morale. Hotel chain Ritz-Carlton has a storied reputation for great customer service. Many companies mimic its training programs, and one often hears executives saying they want to be known as the "Ritz-Carlton" of their respective industry, be it a law firm, car dealership or plumbing supplier. Recently, my family and I experienced the Ritz-Carlton signature customer service in a way that will be talked about in our family and at my company for many years to come. My wife and two children spent a few days at the Ritz-Carlton on Amelia Island (Florida) while I was in California on business -- sadly unable to make the trip with them. 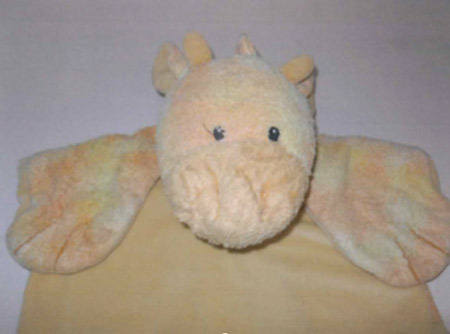 Upon returning, we discovered that our son's beloved stuffed giraffe, named Joshie, had gone missing. 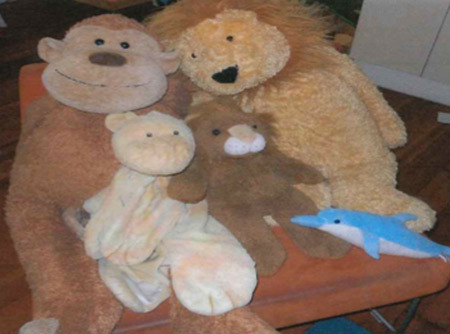 As most parents know, children can become very attached to special blankets, teddy bears and the like. My son is extremely fond of his Joshie, and was absolutely distraught when faced with the idea of going to sleep without his favorite pal. While trying to put him to bed the first night home, I decided to tell a little white lie. "Joshie is fine," I said. "He's just taking an extra long vacation at the resort." My son seemed to buy it, and was finally able to fall asleep, Joshie-less for the first time in a long while. That very night, the Ritz-Carlton called to tell us they had Joshie. 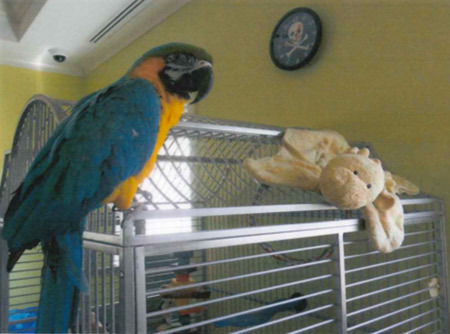 Thankfully, he had been found, no worse for wear, in the laundry and was handed over to the hotel's Loss Prevention Team. 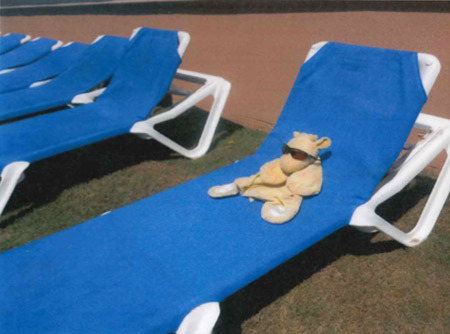 I came clean to the staff about the story I told my son and asked if they would mind taking a picture of Joshie on a lounge chair by the pool to substantiate my fabricated story. The Loss Prevention Team said they'd do it, and I hung up the phone very relieved. A couple days went by, and we received a package from the hotel. It was my son's Joshie, along with some Ritz-Carlton-branded "goodies" (a frisbee, football, etc.). Also included in the package was a binder that meticulously documented his extended stay at the Ritz. 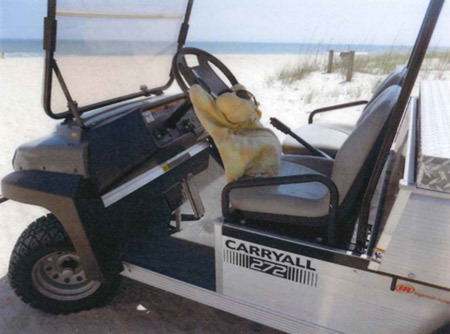 And Joshie driving a golf cart on the beach (who knew giraffes could drive?). 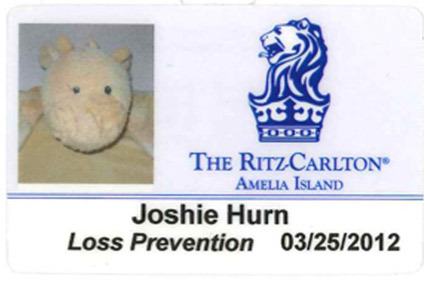 My son's Joshie was even issued a Ritz-Carlton ID badge, made an honorary member of the Loss Prevention Team, and was allowed to help by taking a shift in front of the security monitors. Needless to say, my wife and I were completely wowed by the Ritz-Carlton Loss Prevention Team. My son, on the other hand, didn't care so much about the binder and was just happy to have his Joshie back. I'm sure he'll have a greater appreciation for it as he grows up. It goes without saying that the Ritz-Carlton can count on my family to be repeat customers. But I'm also telling you (and everyone else who happens to read this story). This is something I've always told my staff -- create an experience so amazing that someone can't help but tell others about it, and you're sure to succeed. 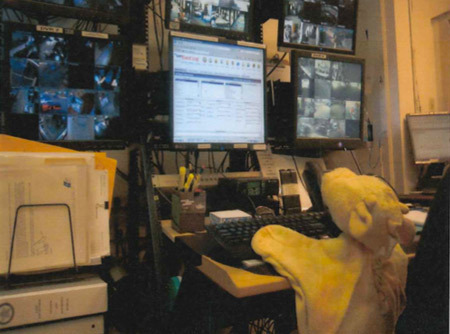 I'd also venture to say that Aaron (of the Ritz-Carlton Loss Prevention Team) and his cohorts had a pretty good time documenting Joshie's vacation, and employee morale is a huge part of creating a great customer experience. 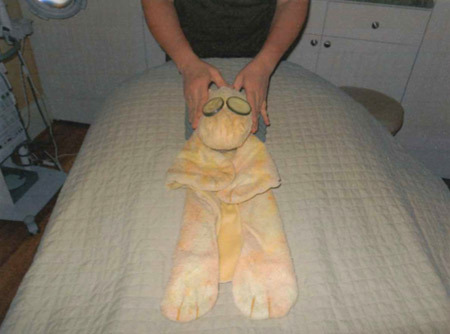 All this from a stuffed giraffe who got lost on vacation.